Warts are benign skin lesions due to a viral infection known as the Human Papilloma Virus (HPV). The virus generally invades the skin through small cuts and abrasions. Warts can be painful and are often mistaken for corns or calluses. They can appear anywhere on the skin, but are commonly found on the bottom of the foot (plantar warts). Approximately 50% of warts may resolve without treatment over a two year period, however, treatment is recommended to prevent spread of the infection to the feet and other people. Warts are treated in our office both topically and surgically. Topical treatment involves debridement or trimming of overlying dead skin and application liquid acids. This usually requires several treatments and is painless. 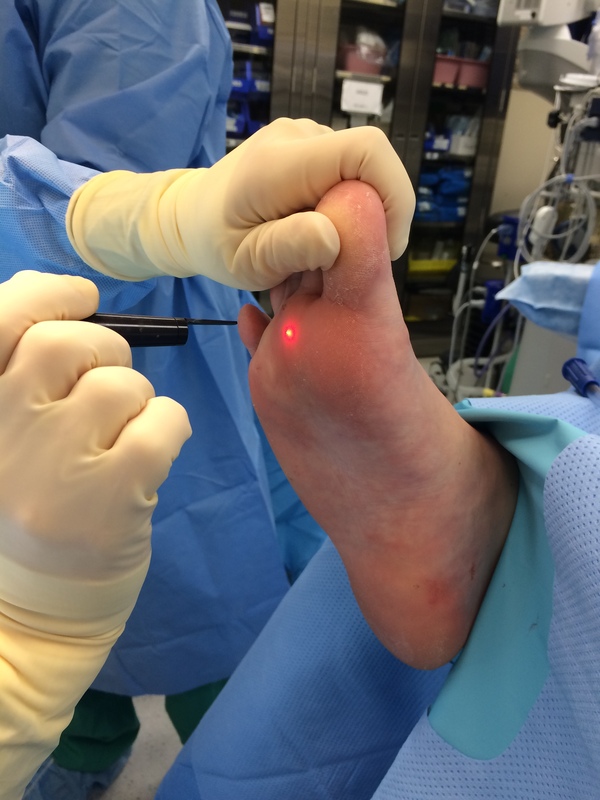 Surgical treatment involves numbing the wart with an injection and then excising or removing the wart with a laser. The greatest success rate for wart treatment is found with laser removal. Your podiatrist may also recommend medications to apply to the wart at home and daily multivitamins or prescriptions to boost your immune system to fight the virus.